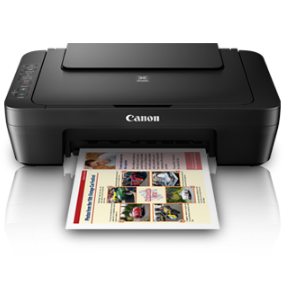 Canon PIXMA MG3070S Driver Download - Canon PIXMA MG3070S is an affordable all-in-one printer with Wireless LAN. A mg3070s affordable Wireless all-in-one that comes with the mobile printing solutions and cloud. This multifunctional machine which includes Print, Copy and Scan with relying on ISO print speed (A4): up to 11.0 ipm (color) and 5.0 ipm (mono). Max. Printing Resolution : up to "4800" (horizontal) x "600" (vertical) dpi / Scan Optical Resolution : up to "600" x "1200" dpi, Scan Selectable Resolution : up to 25 - "19200" dpi / Ink Cartridge : CL746S, PG-745S. canon-printerdrivers.com provide a download link for Canon PIXMA MG 3070S Series publishing directly from Canon website with easy-to-download, to get the download link can be found below. Windows 10 / Windows 10 (x64) / Windows 8.1 / Windows 8.1 (x64) / Windows 8 / Windows 8 (x64) / Windows 7 / Windows 7 (x64) / Windows Vista / Windows Vista (x64) / Macintosh / Mac OS X (10.8/10.9/10.10/10.11/10.12) / Linux.